River City Home Solutions is a Eden Prairie based window cleaning service that specializes in window washing, gutter cleaning, and pressure washing in Eden Prairie. I am different than many of my competition in that I will personally be washing your windows and I can ensure the highest level of quality myself. Window cleaning in the Twin Cities metro area is a constant battle for many homeowners and especially those in the SW metro as there is tons of construction and agriculture land constantly stirring up dirt into the air. I only do 1-2 homes per day to ensure I am not rushed when I get to your home, I also offer Saturday and Sunday service so that you are not having to take a day off work to get your windows cleaned. What is the best window cleaning package for your Eden Prairie, MN home? Well that is a question that can only be answered by you; it all depends on the window washing needs on your Eden Prairie home. Some of the windows cleaning options are below, we can tailor a package to meet your exact needs. Spring and Fall Cleanings in Eden Prairie – This is the post popular option for most of our customers in the Twin Cities since it is nice to start the summer with clean windows so you can enjoy those views. And it is also great to get them cleaned in the fall once most of the dust is out of the air and your freshly cleaned windows will last well into the winter months. Once a year window cleaning on your Eden Prairie home – Many of our customers in the Twin cities also opt to only get their windows cleaned once per year. Most of these customers wait till summer after the spring rains are behind us and get their windows good and clean so that they can enjoy the views in their backyards. Special event window washing for your Eden Prairie home – Some customers might be a once every few years type of window cleaning customer and only really want their windows to shine for special events in their home. Maybe it is a graduation party or even your turn to host Thanksgiving dinner this year. Regardless of the reason we ensure you the windows on your home will be getting rave reviews from your guests. 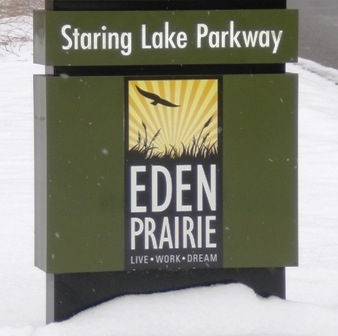 Scheduled window cleaning – Sadly much of the Twin Cities metro has constant construction and field work and Eden Prairie is no different. Windows are going to get dirty and some of my customers want them to stay clean all year. We can do packages for your Eden Prairie home to keep the windows shinning year round. Most packages have us doing the inside of your windows 1-2 times per year and the outside windows 3-12 times per year since they get dirty quicker. We can set-up a package at whatever intervals you desire to keep the windows shinning on your Eden Prairie home. Spot touch-up window cleaning – After we have done a full window washing on your home in Eden Prairie we are more than willing to come back to re-clean those special windows in your home that are often focal points in a room. Often these are large picture windows and they are the few windows in your home that you REALLY want to keep clean. We can set-up a schedule to just touch-up these couple of windows and save the rest of your windows for a later full window cleaning. 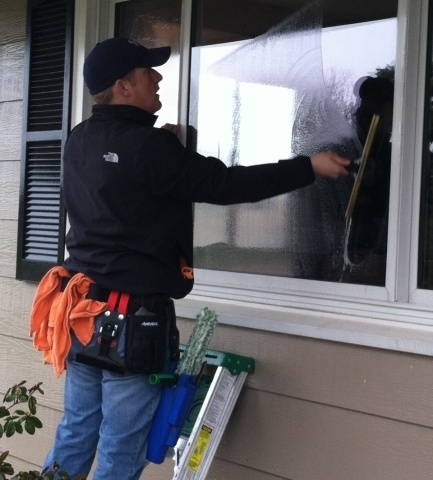 Window Cleaning – No job is to big or small as I will adjust crews sizes if needed to get your home done. I will personally be cleaning your windows so I can ensure a very high quality job at the end of the day. Gutter Cleaning – Gutter cleaning in Eden Prairie is very important since most of the homes are surrounded by tall trees which fill your gutters each season with debris. To ensure your gutters are working properly we hand clean each section of your gutters and ensure your downspouts are flowing right. Pressure Washing – If that driveway could use a spring touch-up or that deck needs to be prepped for a new layer of stain we can handle that! We also offer whole house cleaning to knock of years of debris from your home.